(e) Read Data List according to the display on the Techstream. Inspect the items that did not change as a result of monitoring the Data List. 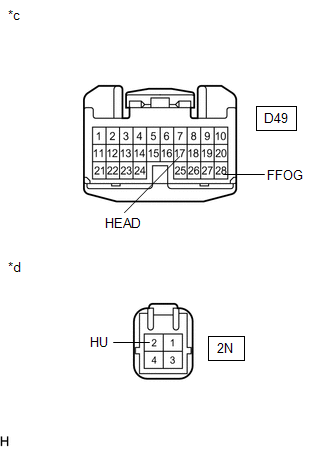 (a) Remove the headlight dimmer switch assembly (See page ). 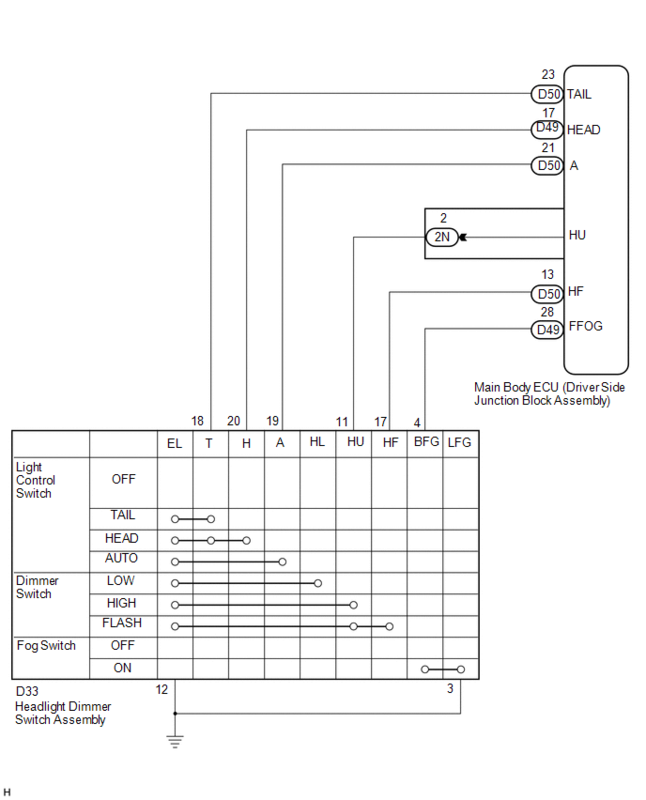 Headlight dimmer switch assembly is normal. 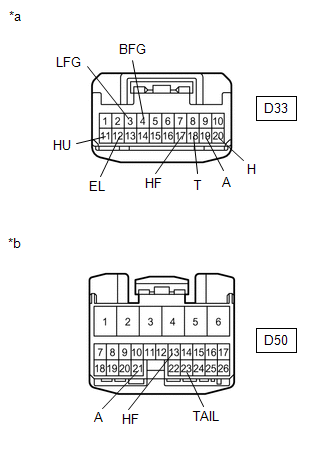 (a) Disconnect the D33 headlight dimmer switch assembly connector. 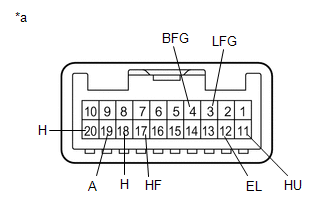 (b) Disconnect the D49, D50 and 2N main body ECU (driver side junction block assembly) connectors.